Meet the Spring 2017 Flipgrid Ambassadors! The following post is written by Flipgrid Head of Engagement Joey Taralson. Joey manages the Flipgrid Ambassador program, which helps ensure Flipgrid continues to deliver a platform that exceeds the expectations of our global community of educators. The Flipgrid Ambassador program was created to promote a closer relationship between the Flipgrid team and the members of our global community. Flipgrid Ambassadors ensure that the decisions we make as a company continue to reflect the voice of our amazing educators. Organized in the fall of 2016, the program now includes more than 100 classroom teachers, professors, teaching librarians, and instructional coordinators. 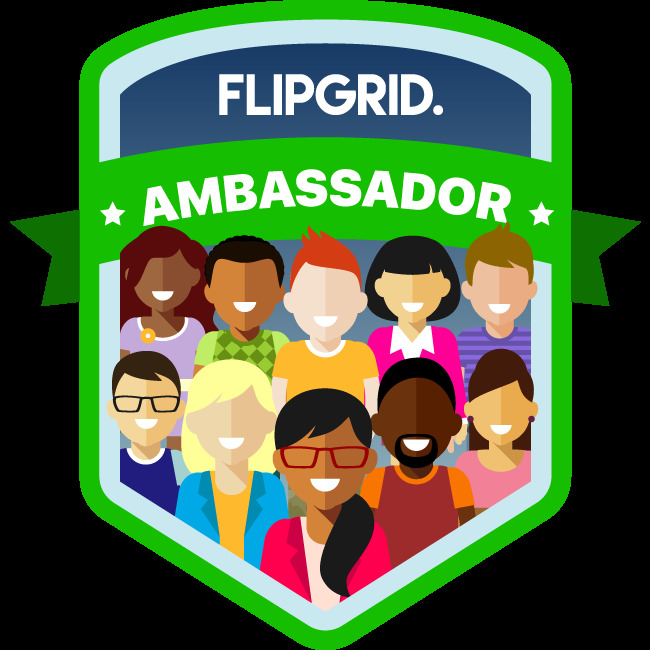 On April 10th we invited 23 educators to join the program, forming our Spring 2017 class of Flipgrid Ambassadors! I highly encourage you to connect with these innovative educators on Twitter. If you’re interested in serving as a Flipgrid Ambassador, please email me anytime for more details!